Assessors need to be mindful that when modelling downlights that include fireproof covers that these covers only allow insulation to be placed near the downlight and not applied over the downlight. Therefore downlights still need to be nominated. Window libraries have been an ongoing problem for many House Energy Raters. Choosing incorrect window types when modelling could cost new home owners many thousands of dollars. When a specific manufacturer is provided and that window manufacturer is not in the AFRC window library the best way to model the windows is to go to the default library and find the best match and use them for modelling purposes. With assessment data stored in the HSTAR portal, the CSIRO can readily extract, filter and analyse building data. However, the level of data accuracy relies on correct data input. A common mistake is incorrectly or accidentally selecting the wrong building classification. NCC Class 1a is selected by default. If you are assessing a Class 2 dwelling e.g. an apartment, please check to ensure you have correctly selected Class 2 under the Dwelling Details section. Clause 8.6 and 8.6.1 above have been taken directly from NatHERS Technical Note 1, Version 1.2 – 2014. Many of the assessors Education In Building has surveyed avoid modelling this scenario when undertaking an energy rating, as they do not feel confident to model the situation correctly. Furthermore, they hope it will simply pass unnoticed. Unfortunately, this is not the case should a BERS Pro user be asked to model a similar example or if subjected to an AAO quality assurance audit. There is a lack of specific detail currently available and a range of varying opinions on how Clause 8.6.1 should be interpreted and modelled. In an attempt to assist BERS Pro users, EIB will be releasing a tutorial on how to model Clause 8.6.1, however, before then we have requested further clarification from the AAO’s on their perspective of the correct modelling procedures. Lightweight external wall cladding can either be direct fix or batten fix to the wall framing. If you select or hover over a particular wall construction in BERS Pro, a description shows at the bottom of the window, e.g. Fibro Cavity Panel Direct Fix or Fibro Cavity Panel on Battens. 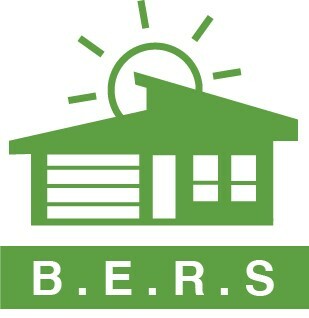 A common oversight in BERS Pro is to select an external wall type that includes an air gap, even though battening has not been documented in the drawing set. Please ensure you are selecting the correct external wall construction and insulation. Including a reflective foil with no air gap and R2.0 bulk insulation only adds R2.0 to direct fix construction. However, the same specification with batten fix construction adds an extra R0.6 with a total of R2.6. If the external wall is built without a battened reflective air gap, the R-value will have been overstated, and overall energy efficiency may suffer.